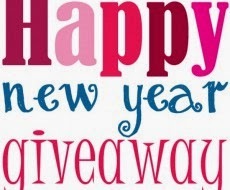 Sriz Beauty Blog: New Year Giveaway Announcement!!! To all my lovely readers,I would like to conduct a Sparkling Giveaway for this New Year!!! This Giveaway is sponsored by Organic Therapie.There will be two winners for this Giveaway.The winners will get awesome products from Organic Therapie that help your skin glow this New Year!!! 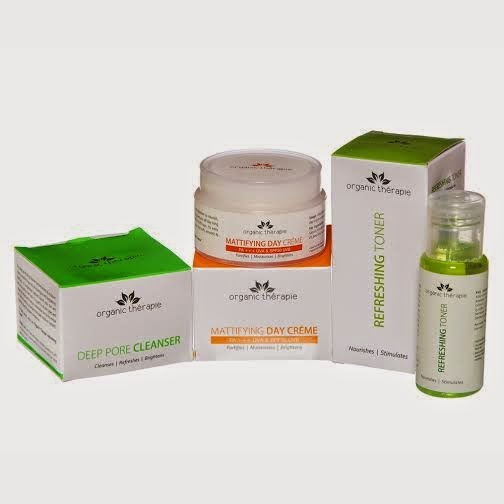 I am currently using Insta Clear Kit from Organic therapie,which is working very well.I have already reviewed the Insta Marks Clay before and will review the other two products from the combo very soon.All the 3 products are excellent in removing the dark spots on the skin.There are several other combos for different skin conditions from organic therapie.You can Check them out here. What the Brand Says : Organic Therapie is a revolutionary line of natural extracts based health & beauty products. Its award winning products are created with hand - picked ingredients to give you the best that nature has to offer. Our mission at Organic Therapie is "to help men & women around the world, look beautiful & feel healthy every day, and thereby improve their happiness quotient".This is what drives us gives purpose and value to our business. Making our customers happy is a passion – shared by all our committed employees. We are proud of our work. You can check out their Website and Facebook Page for more details. The First Winner will get the Sparkling Skin combo containing 3 effective products. 1) Deep Pore Cleanser : It removes excess oil, dirt & stubborn make up to give you an instant glow with long lasting freshness. Its oxygenated capsules nourish your skin and ensure a healthy matt look. It is good for all skin types and especially effective for oily or combination skin as its unique moisture control formula, maintains the ideal oil content. Use every day for a clearer complexion. 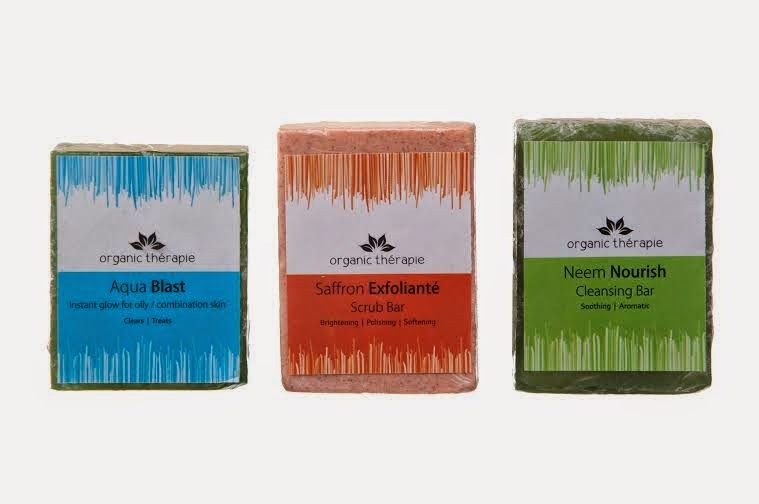 The Second winner will get Organic Therapie Body Essentials Spa/OT Gift Set containing 3 unique handmade Facial Bars. 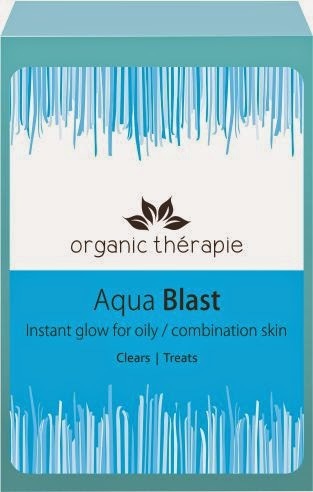 1) Aqua Blast Soap : This zesty & refreshing facial bar is enhanced with healing herbs to deep cleanse & extract axcess oil. Use daily for an oil free, glowing skin. 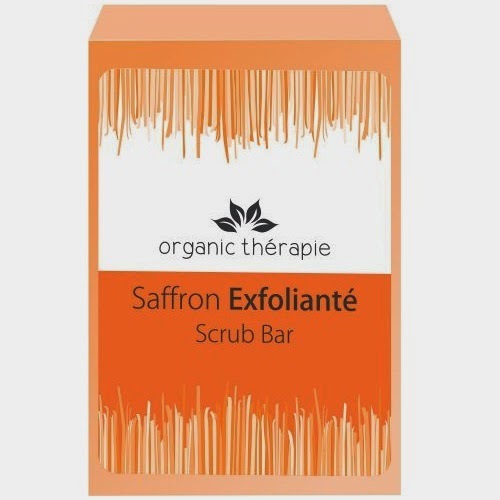 2) Saffron Exfoliate soap : This Gentle saffron based soap combines ultra fine exfoliating beads clear away the old,dull skin with its moisturizing milk to nuture new radiant skin. Saffron with its exfoliating qualities makes this soap a wonderful aid in clearing and brightening the skin. 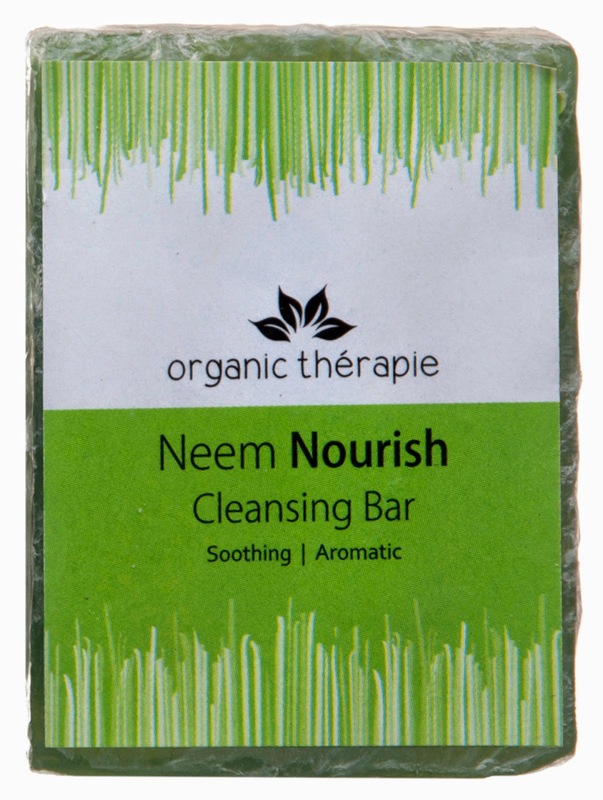 3)Neem Nourish soap : This rejuvenating cleasing bar is enriched with neem &tea tree to give your skin all day freshness & lasting fragrance. a) This giveaway is open only for Indian Residents. b)The giveaway is open till January 20 th and winners will be announced with in 1 week after the contest ends. c)Participants above age 18 are eligible for this giveaway,underage participants can participate after taking permission or under the supervision of their parents. To enter into this Giveaway,you need to complete the following 4 steps. 1) Like Sriz Beauty Blog on Facebook.You Can do it by clicking here. 2)Like Organic Therapie Page on FaceBook.You Can do it by clicking here. 3)Like Sattvik Organics Page on Facebook.You can do it here. 4) Subscribe for the Email Updates from Sriz Beauty Blog.For this you need to enter your email address into the box in the right top corner of the blog and activate the link which is sent to your corresponding email address. Once you are done with the all these 4 steps,comment below or on our facebook page that you have entered the giveaway and mention the facebook ID name with which you entered. Winners will be picked randomly and the prizes will be shipped directly from the Organic Therapie!!! *The images are from the google source and I do not own them.